This past February, Russian Dictator Vladimir Putin ordered his intelligence and military services to invade Crimea in the Eastern Ukraine. Western governments loudly condemned Russia’s aggression, but practical responses have been limited to minor economic sanctions and visa restrictions against major Russian supporters of Putin. In predictable fashion, Putin responded with symbolic bans on U.S. involvement in Russian energy development. Neither Western responses nor Putin’s counter-measures count for much in the short term. However, in the long term, Russia wants the oil and gas fracking technology that U.S. companies dominate. To get that, Putin is betting that the West will forget about Russian aggression in Ukraine as quickly as it forgot about the Russian invasion of Georgia in 2008. Thus far, there are striking similarities between the Georgian and Ukrainian invasions. In 2008, Georgia, like the Ukraine of 2014, was expanding its economic and cultural ties with the West while reducing its trade with Russia. That year, Putin quickly seized Georgian territories where there was a significant Russian speaking population. Then he moved more military assets to the Georgian frontier than Russia needed for the intended operations. 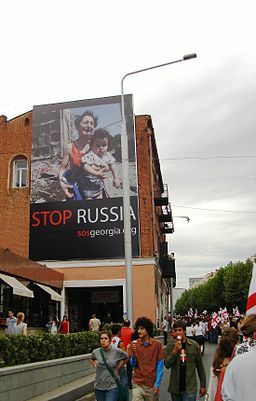 The propaganda campaign projected an image of Putin’s wild popularity across all segments of Russian society and total approval of his aggression in Georgia. Georgia seemed to be on the brink of complete absorption by Russia. The West enacted economic sanctions and demanded that Russia withdraw. Putin then announced that his army was withdrawing from Georgia, but, in fact, his army enforced an annexation of Georgian territory. Once it appeared that the crisis was de-escalated, the West quickly rescinded the economic sanctions. Putin got what he wanted and suffered nothing for forcibly annexing part of Georgia. In Ukraine, we see Putin once again employing this same basic strategy that worked so well in 2008. The Ukrainian people made it clear that they did not want closer economic and political alliances with Russia in exchange for promised Russian financial aid. Protests mounted, and the Russian backed Ukrainian President Viktor Yanukovych fled to Russia. Russia responded by sending special forces to invade and seize Ukraine’s Crimean peninsula. In response, the West enacted mild sanctions against Russia. Putin deployed more Russian military assets to the Ukrainian border areas than were needed to take the Crimea and then he asked for and received permission from the Russian parliament to invade all of Ukraine. The propaganda campaign in the Russian media created an image of a nation of one mind and soul ready to invade and annex more Ukraine territory, or even the entire country. 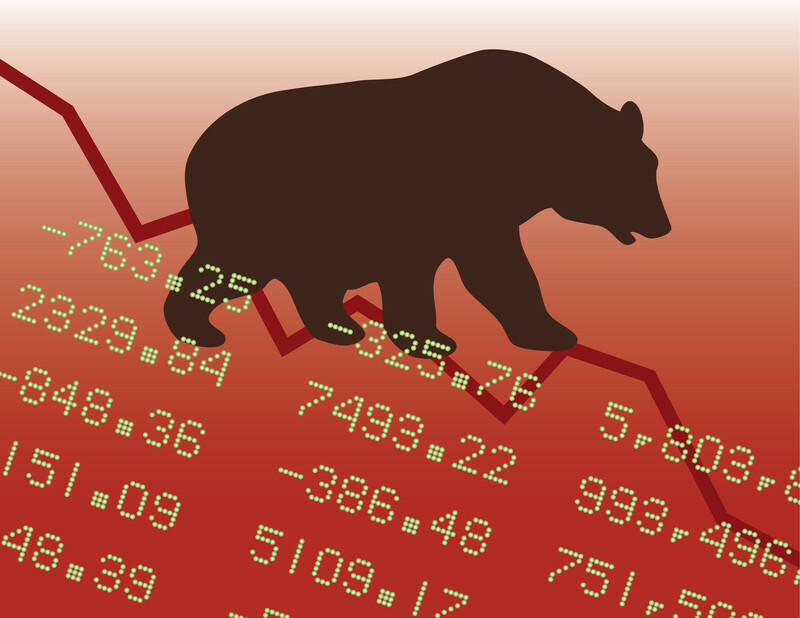 Underneath Russia’s bravado, we saw the Russian stock market take a major nose dive. This forced Putin to use ten billion dollars in Russia’s reserves to prop up the Russian currency and avert a credit crisis. Because Putin was certain that the sanctions were temporary, he likely predicted the economic impact of Ukraine invasion and calculated it as a bargain price for the purchase of Crimea. As the situation in Ukraine appeared to be escalating beyond the Crimea, the U.S., Poland, and Romania asked their European allies to agree to increased sanctions. Most of the E.U. opposed the increased sanctions, so nothing meaningful happened. It became apparent to Ukrainians that many of their European neighbors were not willing to lose profitable business agreements with Russia in order to support them. About thirty-three percent of Europe’s fossil fuel imports are from Russia. If we add in the ISIS crisis in Iraq, the energy picture has to concern European governments. Even those nations that do not directly import gas or oil from Russia would see steep price increases if Russian fuel imports stopped. That reality undoubtedly figures enormously into Europe’s unwillingness to support Ukraine by enacting meaningful economic sanctions against Russia. Conversely, with fracking operations now in place and growing in the U.S., the U.S. is becoming a significant gas exporter, it is easier for the U.S. to risk economic boycotts against Russia. One of the most visible and controversial touchstones of the economic conflict of interest for the Western world regarding Russia’s Ukrainian invasion is a pending ship building contract between France’s STX shipyard in Saint-Nazaire and the Russian Navy. In 2011, the Russian Navy contracted and partially funded the building of four high-tech amphibious warfare ships. With the Russian annexation of Georgian territory fresh in their minds, France’s Western allies voiced opposition to the deal because most Western governments did not want to improve Russia’s ability to invade their neighbors. One ship is near completion, and the second is partially constructed. The first ship is due for delivery in October of this year. In addition to four powerful amphibious warfare ships, Russia will gain significant upgrades in electronic warfare systems from the French equipment installed on those ships. France benefits in that the one billion, six hundred million Euro payment from Russia fuels approximately a thousand French jobs. With France’s continuing high unemployment rates, the Paris government is reluctant to abandon the work and refund Russia its deposit. The U.S., Poland, the U.K., and Ukraine appropriately and frankly criticized France’s ship deal with Russia. Predictably, Putin responded by saying that he looks forward to placing large orders for more naval ships from France once these ships are delivered. On June 30, 2014, four hundred Russian sailors arrived in Saint-Nazaire for training on the shipboard systems. If and when the Russian sailors are given full access to the newer military systems and technologies, France will have allowed major warfare technologies to transfer to Putin’s navy at a time when Eastern Europeans are frantically trying to improve their security against Russian aggression. The U.S. has suggested one easy way out for France. Rather than lose the financial value of the contracts with Russia, it could lease the two ships already under construction to NATO to be employed by NATO’s Standing Force, possibly in the Black Sea. Thus far, Europe has been ambivalent to that idea. If Europe can cooperate amongst itself and with the U.S. enough to prevent the transfer of the French naval warfare technology to Russia, it would be a major achievement for European cooperation and security, but it would not address the deeper underlying problems. Europe is facing major economic problems and has been relying heavily on large doses of political P.R. driven denial. Take the U.K. as a simple case. The U.K. is the largest producer of oil and the second-largest producer of natural gas in the European Union. Production from U.K. oil fields peaked around the late 1990s and has declined steadily since then. Domestic production of natural gas is also steadily declining. Although once a net exporter of natural gas, the U.K. now imports more natural gas from Norway each year. Norway is limited in how much and how fast it can increase its gas exports to the U.K. The U.K. is also importing oil from Russia. Soon, the U.K. will have to drastically cut its natural gas consumption or find more import sources. This likely means sharp price increases for gas consumers in the U.K.
Four days ago, I had a polite conversation about the U.K.’s energy needs with a respected economist from London. He assured me that, “We can get most of the gas that we need from Norway, and recent discoveries show that in the future we can get all the gas we need from fracking.” He was unconcerned about the U.K.’s current energy dilemma. Fracking comes with serious environmental concerns. France and Romania have already outlawed the practice. In light of these concerns, how much fracking will occur in the U.K., and how fast can it can it become a reality? Not fast enough to avoid increased prices at the pump and increased vulnerability to Russian aggression. The U.K. is just one example of how European nations must juggle conflicting priorities in dealing with both Russian aggression against Europe and the usual turmoil in the Middle East. The U.K.’s powerful E.U. partner Germany, following initial indignation, has been somewhat muted in condemnation of Russian aggression in Ukraine. Germany is the one Western European nation that is not on the fast track to bankruptcy, and it cannot afford to ignore its major trade agreements with Russia. We could go on, but why depress our European readers? The fact is that North America and Europe must find the political courage to openly face the economic and energy questions that so greatly affect the future of Western civilization. A public that is unaware of energy issues cannot effectively demand that European and North American governments formulate policies that their citizens are willing to accept. Those policies shape how Europe can respond to Russian aggression. As long as the E.U., the U.S., and Canada limit their cooperation to lip service, Eastern Europe will remain at risk of further Russian invasions and energy blackmail. As always, Jay, you shed a lot of light on scary situations. But you’ve also at least pointed us in the right direction. The question is how to we demand our government formulate these policies. And what should these policies be? Hi Sonia. Piper here. Holmes is unavailable at the moment to acknowledge your comment, but I know he appreciates it and will answer you as soon as he can. Thank you.